Dinner at Chipotle or Join Scentsy? For less than a feeding family of 4 at Chipotle in February 2019, you can JOIN SCENTSY. 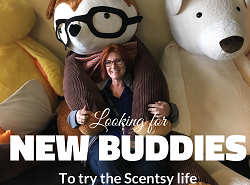 Sell Scentsy online! The first 3 months of your Personal Website are FREE, and just $10/month after that. *Plus local tax and shipping. Contents may vary. Scentsy is offering a Reinstatement Kit for newly reinstated Consultants to purchase. When relaunching your Scentsy business it’s helpful to have the most recent tools to get you back in business, no matter how long you’ve been away. The Reinstatement Kit is a tools-based kit that includes all the essentials a Consultant needs to run their business. The Reinstatement Kit is $59* and offers the same contents as the Host-Exclusive Starter Kit (including Disney). Reinstated Consultants will only be able to purchase the kit through the end of the month during which they reinstate. All you need to do is add the Reinstatement Kit to an individual order or party order from the Orders tab. Please note: It may take 1-2 business days before the kit becomes available in your Workstation. If you have any issues purchasing your kit, please contact Consultant Support. I hope you’ll take advantage of this great opportunity. And don’t forget, we’re here to support you! If you’re a former Scentsy consultant who would like to be reinstated at no cost, simply log in to your workstation for self-reinstatement. 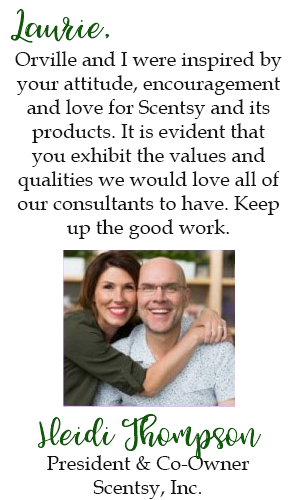 You can also contact accountservices@scentsy.com or call 877-855-0617. You’ll have to select a sponsor. We’d love to have you on our team, Abundant Prosperity, so give them my name, Laurie Ayers, Consultant ID# 505. *Plus shipping (normal business rules apply for shipping). Are you committed to providing an exceptional customer experience? Do you have a desire to succeed? Would you like an opportunity that does not limit your income? If you answered Yes to all of these, then we have the opportunity you have been looking for. 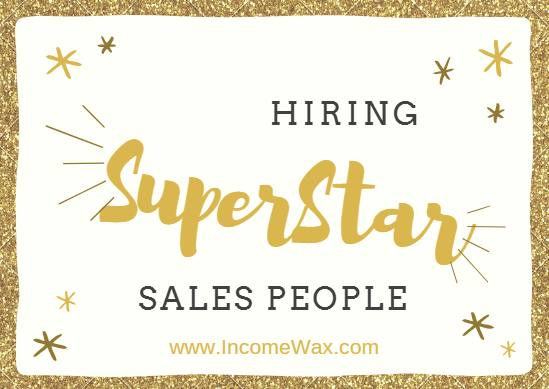 We are looking to hire 3 Motivated Superstar Sales People immediately. Apply now.